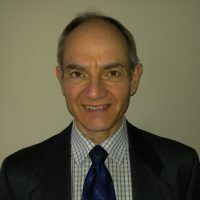 Mark Chase was the Executive Director of Decision Support for Vancouver Coastal Health (VCH) from 2008 until retiring in 2017 and is now consulting with INSITE Consultancy Inc. He is an Adjunct Professor in the School of Population and Public Health at UBC. In his VCH roles, Mark was responsible for analytics with data warehousing, systems improvement and corporate planning. Before joining VCH in 1997, he was Director of Corporate Planning for St. Paul’s Hospital, Executive Director of the BC Council of University Teaching Hospitals and a health care management consultant with Medicus Canada, a national healthcare management consulting firm. Mark has been involved in supporting decision-makers in strategic planning and management, analytics and performance improvement and measurement in Canadian health care for over 35 years. Mark received his Bachelor of Science with Honours in Mathematics from Mount Allison University and his Masters of Science in Operations Research from UBC. Mark Chase is an Adjunct Professor at the School of Population and Public Health.